Be the first owner of this BRAND-NEW home by Payne Family Home in the popular Riverdale neighborhood. This smart, open ranch has 3 BD, 2 BA & 1,746 s/f of fantastic living space. Features inc 9â ceilings, 42â cabinets w/hardware, st steel appl, added depth kitchen sink, Kitchen island, easy access from the Mstr Bdr to the Laundry Rm, gas FP w/marble surround, raised height dbl bowl vanity in the Mstr Bath, hardwood floors, main flr laundry, open stairs to the lower level w/wood railing, a huge Mstr W/I closet, 2 car garage, W/O bsmt, 50 gal water htr, 2 panel doors, Jeld Wen Low E windows, 1 yr materials-workmanship warranty, 10 yr structural warranty, 15 yr bsmt waterproofing warranty, R/I bath, walkout bsmt & more. 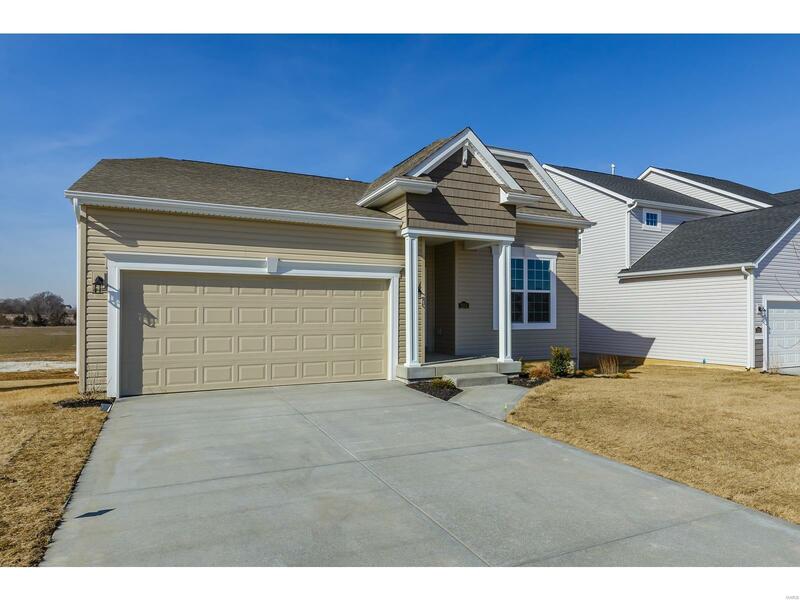 The ext is inviting and low maint w/vinyl siding, shake accent siding, garage coach lights, arch shingles, prof landscape & full yard sod. This peaceful setting is just minutes from shopping, schools, restaurants, services and easy access to Hwys 79 & I-70.